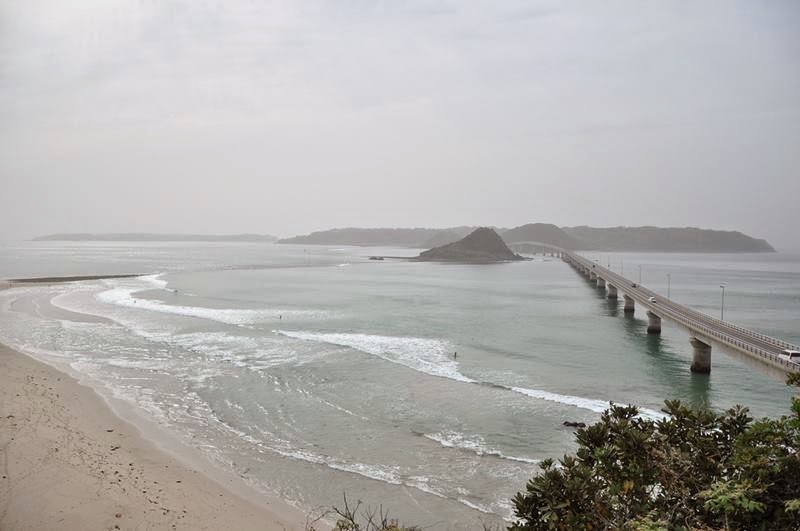 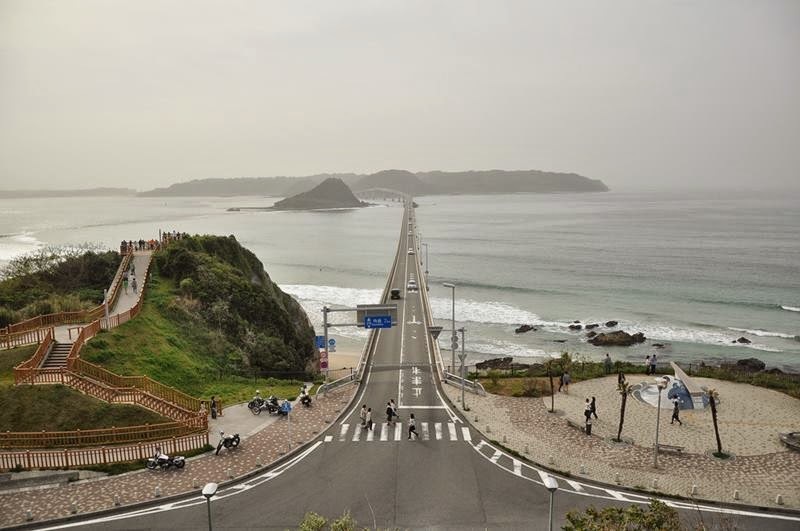 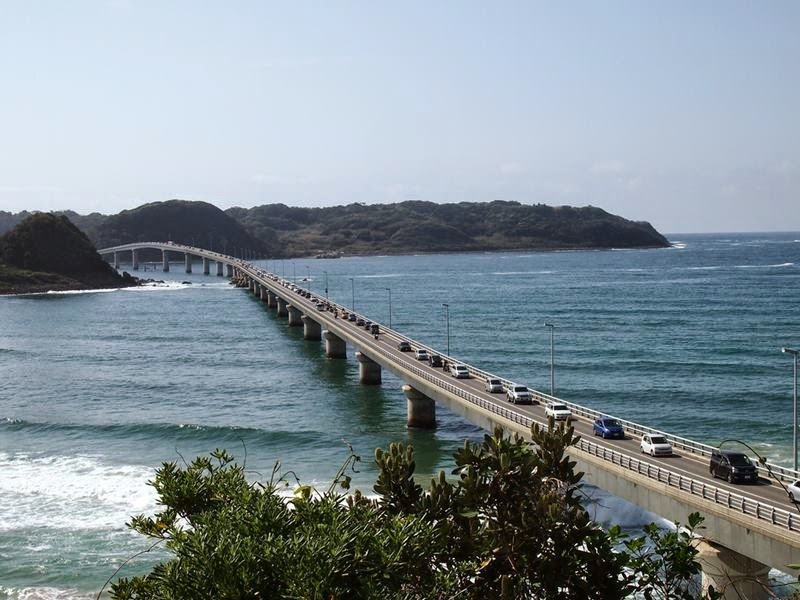 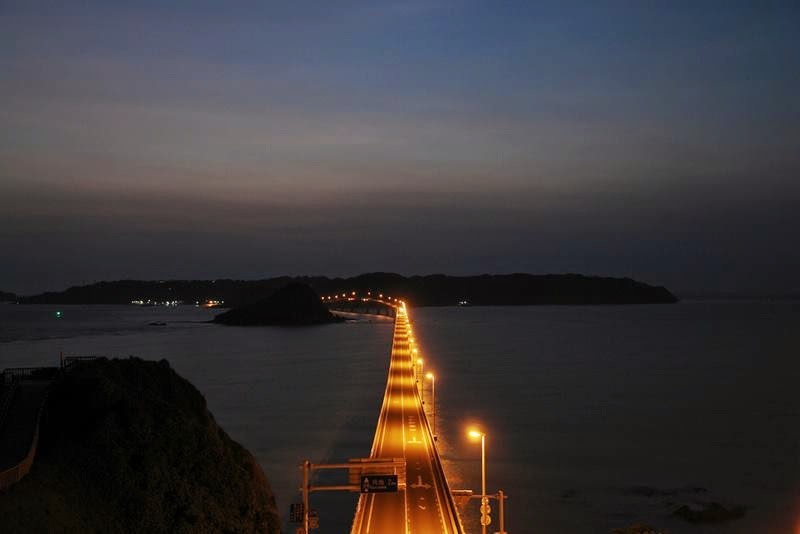 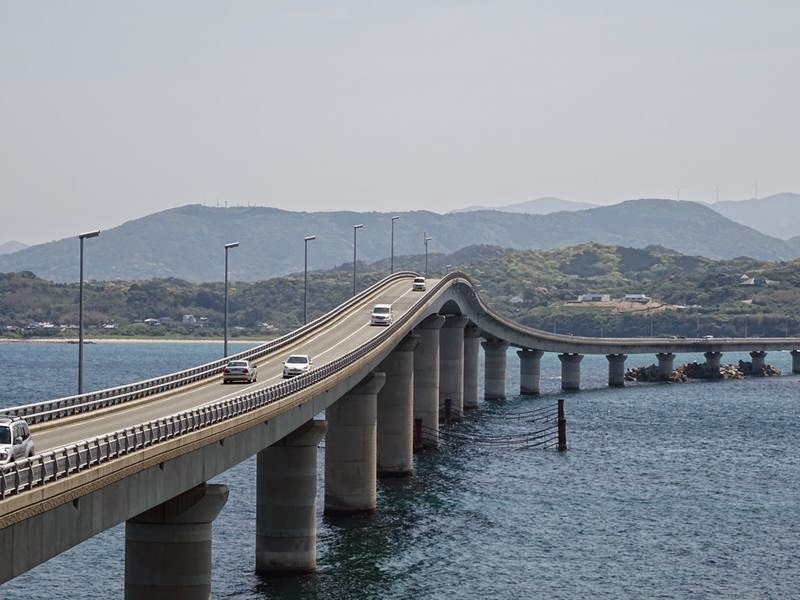 Japan's longest toll-free bridge linking the island of Tsunoshima in Yamaguchi Prefecture with Honshu it was built in 2000. 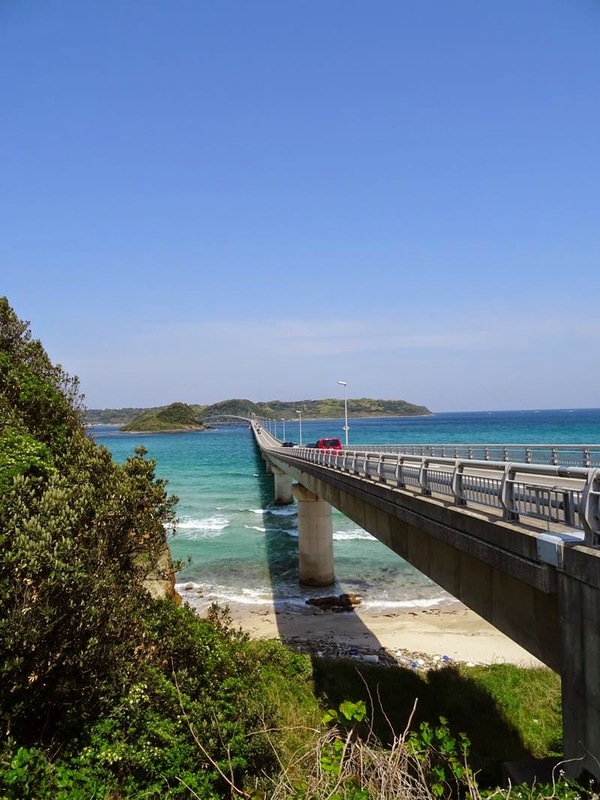 Since then a longer bridge has been built in Okinawa. 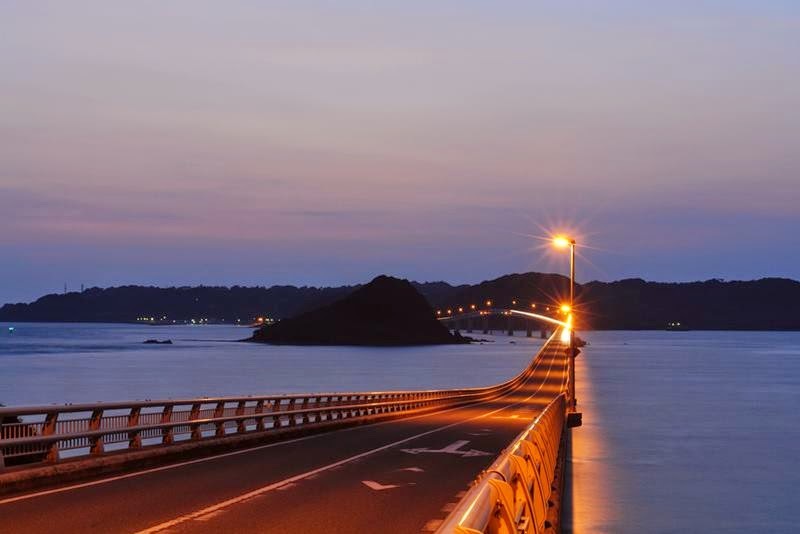 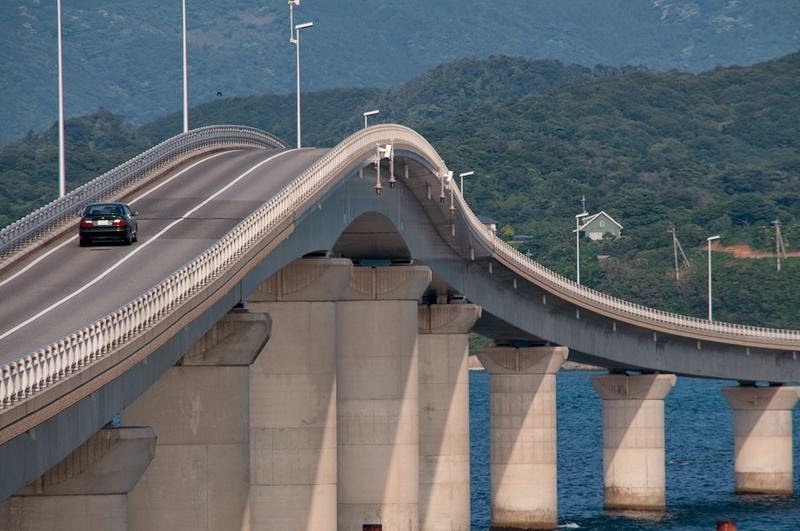 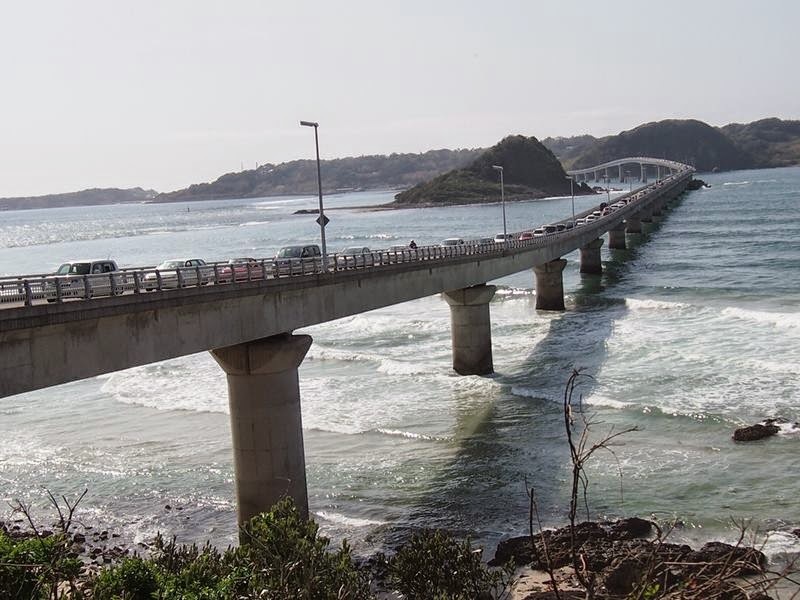 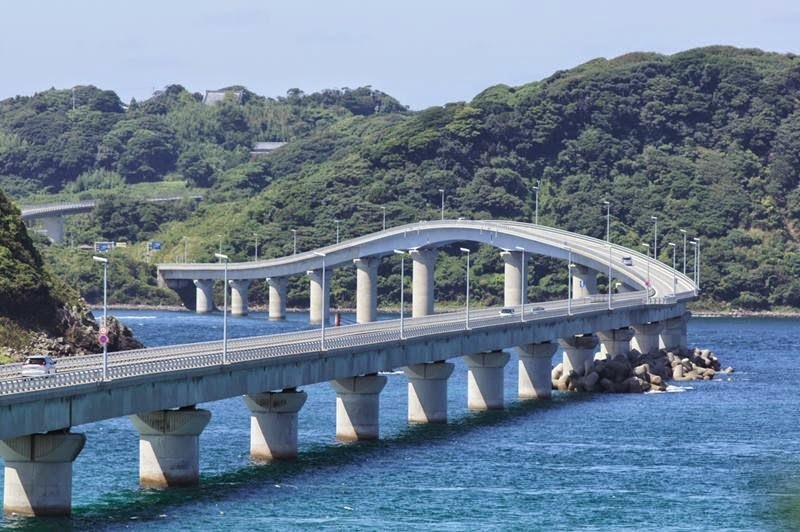 The Tsunoshima Bridge, built at a cost of 14.9 billion yen, which works out at about 150,000 USD per inhabitant, spans 1.78 kilometers, 90 meters longer than the Kuruma bridge ,in Okinawa, the longest toll-free road bridge in Japan until now. 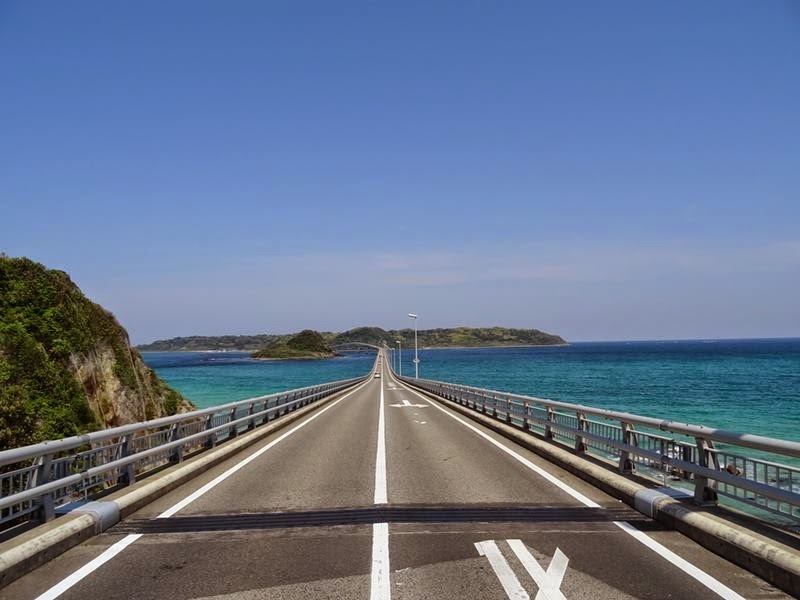 Tsunoshima, with a population of 996, is a small, 4.1-square-km island off the coast of Hohoku, a fishing town in western Yamaguchi.